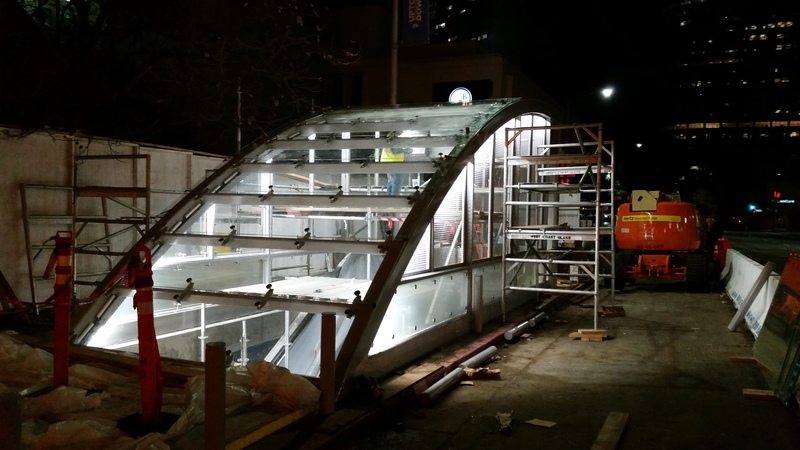 In 2015, BCI completed the BART 19th Street Station Entrance Enclosure Project. 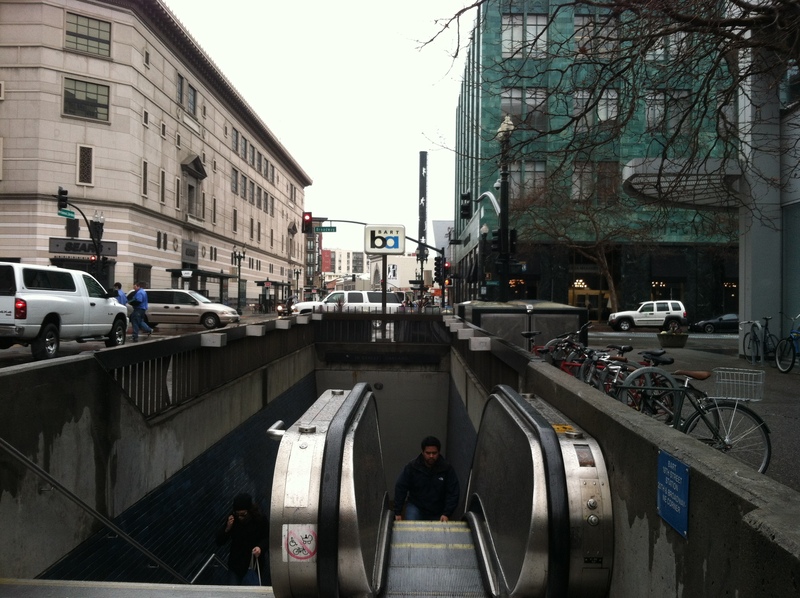 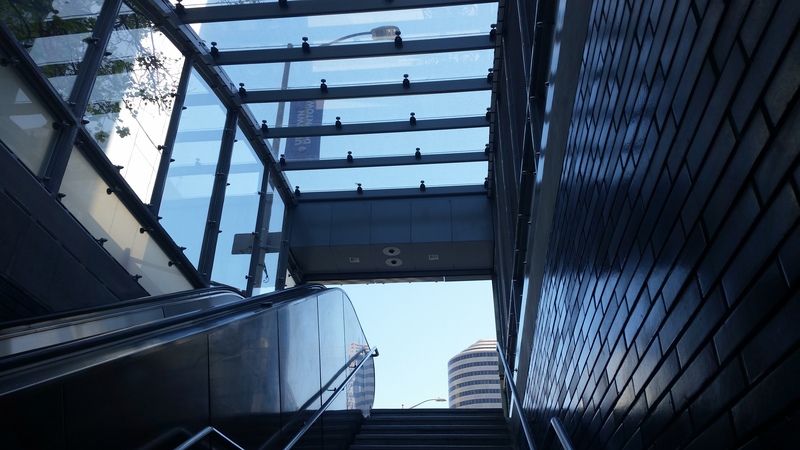 This pilot project involved construction of a stainless steel and glass canopy over the existing entrance to the 19th street BART station. 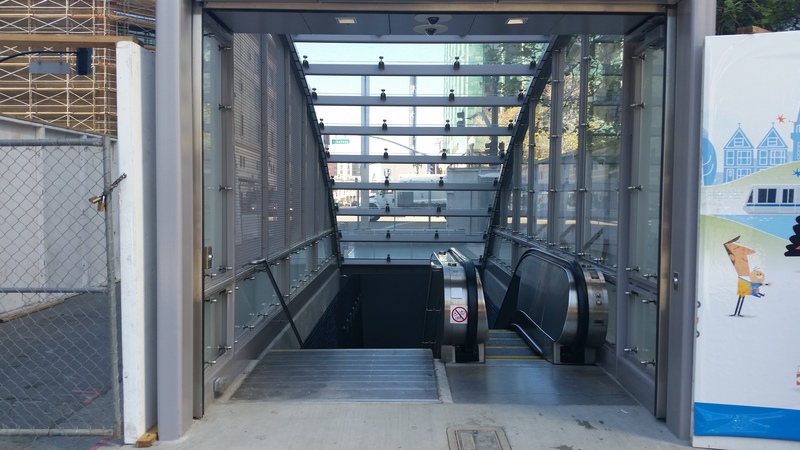 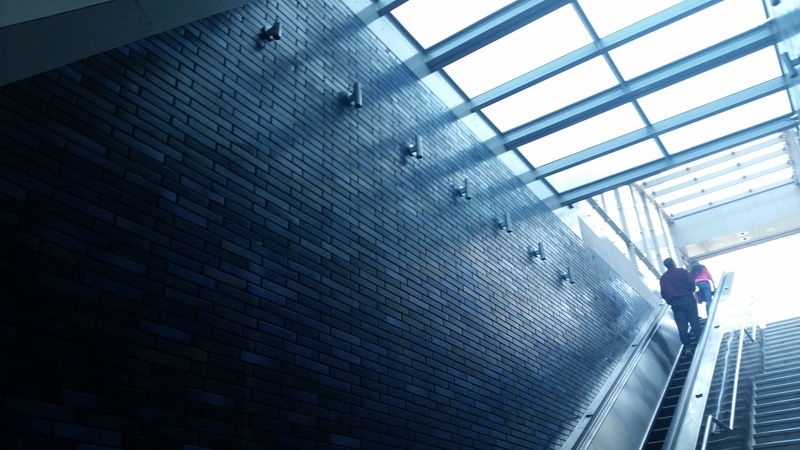 The purpose of this project was to protect the escalator and station entrance from the weather, but also to provide a safer means of unlocking of the station by station agents in the early morning hours. 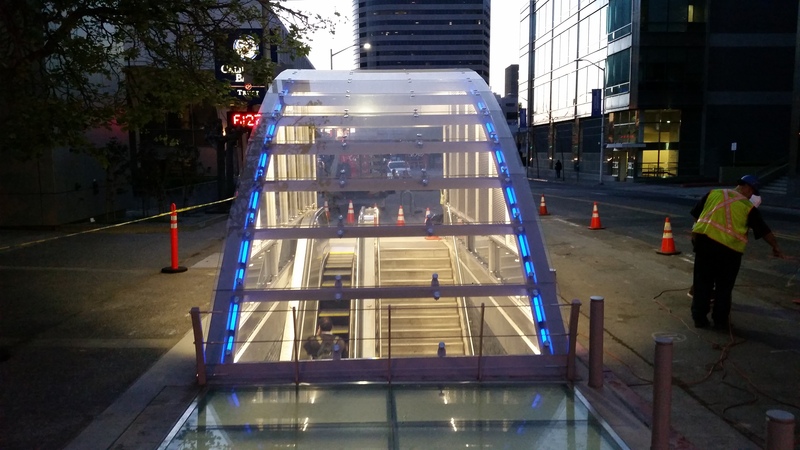 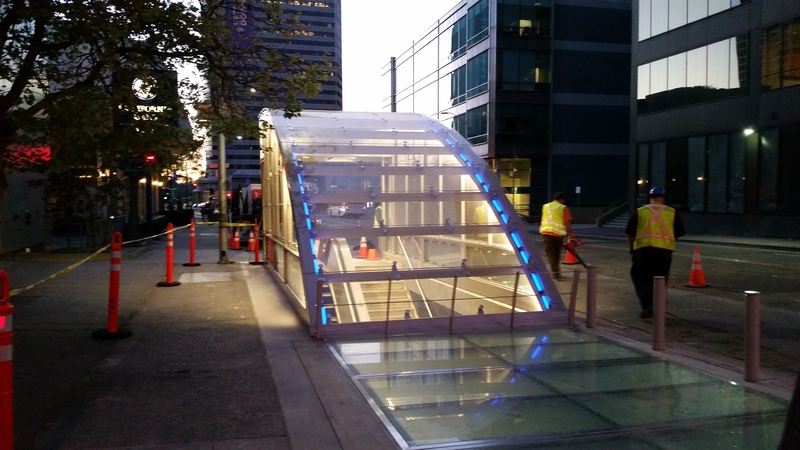 The canopy is equipped with LED lighting, 2 HD real-time display screens, a roll up door, and also includes a frosted glass sidewalk that allows more ambient light to reach the station floor.